Mon – Thur: 8:30 a.m. to 6:00 p.m., Fri: 8:30 a.m. to 4:00 p.m.
Mon – Fri: 10:00 a.m. to 4:00 p.m. The Avery Point Campus was formerly the summer estate of Morton Plant, a railroad, steamship and hotel magnate. Branford House, the mansion overlooking Long Island Sound, was reportedly worth $3 million when it was completed in 1904. Also located on the estate was a caretaker’s house (the current police station) and a barn and horse stable (the current physical plant buildings). The Plant estate was turned over to the State of Connecticut in the 1930’s. During World War II, it was leased to the Coast Guard as a training center. During that period, the Coast Guard built the present cinder block buildings. In 1967, the estate was converted to the Southeastern Campus of the University of Connecticut, later renamed the University of Connecticut at Avery Point. 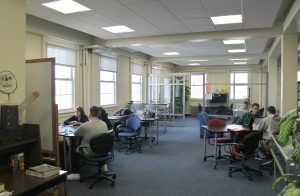 The Avery Point Campus Library is part of University of Connecticut libraries and houses the majority of the marine and coastal science materials. Our general collection supports all classes taught and the four undergraduate degrees on campus;Â Maritime Studies, Marine Sciences, EnglishÂ and Bachelor of General Studies. 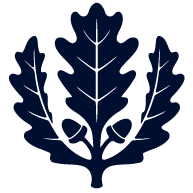 The electronic resources provided by the UConn Library is impressive and we at Avery Point, on campus or remotely, have access to all those electronic resources. The UConn Library is a member of the Boston Library Consortium (BLC) which consists of 16 of the largest academic and research libraries in the Northeastern United States. As members we have access to all 17 collections through inter-library loan. We also reach out to libraries worldwide to support the research needs of the University of Connecticut community.